Product prices and availability are accurate as of 2019-04-20 12:36:54 UTC and are subject to change. Any price and availability information displayed on http://www.amazon.com/ at the time of purchase will apply to the purchase of this product. 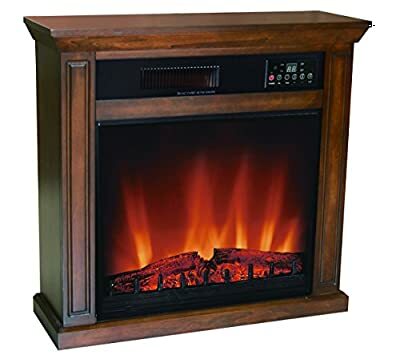 Comfort Glow EF5675R Oak Finish Quartz Electric Fireplace Has a Copper Heater Exchanger and a Built In Fan to Provide Whole Room Heating. It Has a 12 Hour Timer and LED Digital Display.